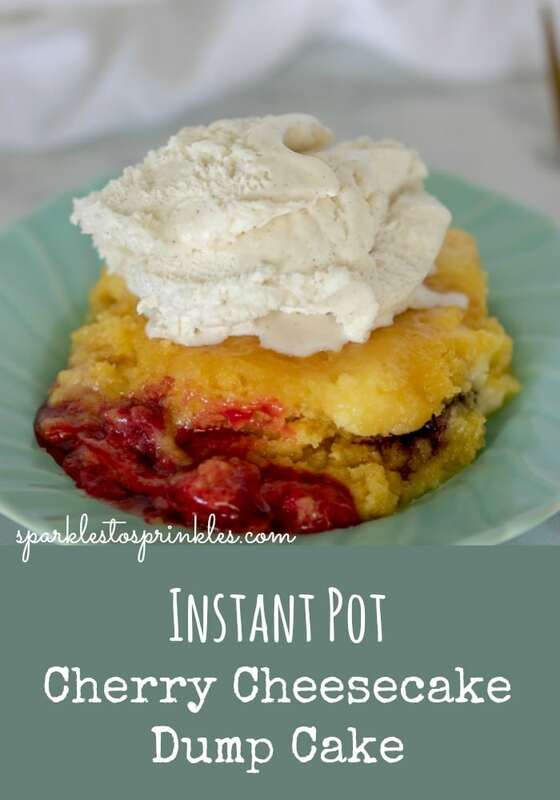 This Instant Pot Cherry Cheesecake Dump Cake is another amazing dessert that is easily made in your instant pot. 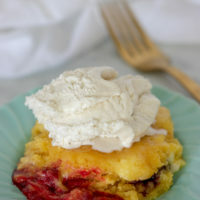 My regular version of Cherry Cheesecake Dump Cake recipe is an amazing one. You will definitely want to check that one out as well. I will say I am favoring the Instant Pot version. The cake comes out so moist and delicious. 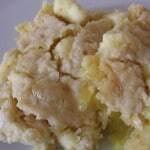 Dump cake is usually a combination of canned fruit, with cherries and pineapples being some of the most preferred. This cherry cheesecake will prove why it is one of the most preferred dump cakes. 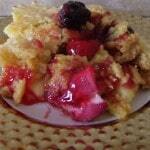 It’s difficult to find dessert recipes that are easier to make than dump cake. With the exception of stirring the fruit, you really need to do very little to assemble this cake. It’s a great recipe for beginning cooks, especially young ones. Even little kids can make dump cake because they usually don’t have to measure ingredients. 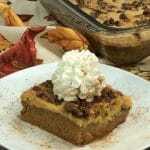 Make sure you check out our Instant Pot Lemon Cream Cheese Dump Cake and Instant Pot S’Mores Dump Cake. 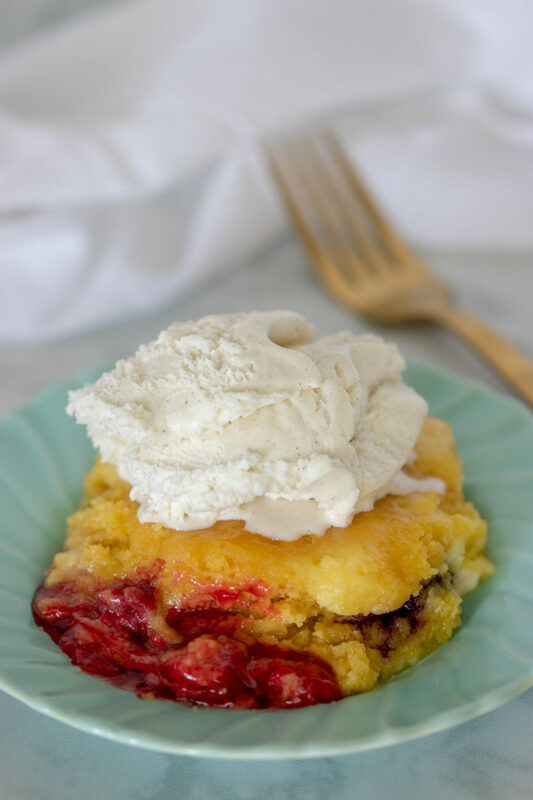 Instant Pot Cherry Cheesecake Dump Cake could not be any more delicious. Making a dump cake in your instant pot adds a whole delicious layer of gooeyness. Spray a glass bowl with nonstick cooking spray. Spread cherry pie filling in the bottom. Top with half of the dry cake mix. Top with butter in a single layer, trying to cover all areas of cake mix leaving none exposed. Place your bowl on the trivet. Place your pot on MANUAL HIGH PRESSURE for 35 minutes. Your toothpick inserted should come out clean. Serve as is in your glass bowl. Scoop out ith a big spoon. Serve it warm or cold. With ice cream or without. Glass is not safe to use in pressure cookers. Should you edit the recipe to not use glass???? What size bowl or pan are you using for instant pot version? I have a 8 QT instant pot and use a 1.5 Liter Pyrex bowl. Can you use stainless steel?